Meet and Greet at the Tulsa Press Club, 415 S. Boston Ave. Mix and mingle with out-of-town journalists and meet the 2019 conference speakers. 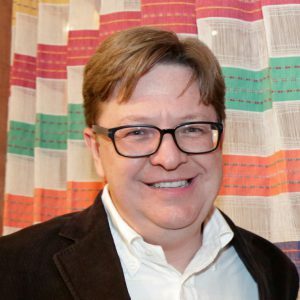 At 6 p.m., Todd Price, food and drinks writer for The Times-Picayune, will answer questions about covering a beloved topic like food in one of the world’s most gastronomic cities. Great Plains Journalism Awards and Conference at the Mayo Hotel, 115 W. Fifth St. Luncheon tickets are $45, students/media; $50. Buy tickets here. Conference workshops are free to attend. The skills that are invaluable for in-depth profiles, plus overcoming resistance like shyness and cliché answers. Building an online food community and launching a brand for cross-platform success. A radio guy’s perspective of the news landscape. (Tulsa, OK) – The finalists have been named for the 2019 Great Plains Journalism Awards. For the 10th-consecutive year, the regional contest is honoring print, online, TV and magazine journalists for outstanding stories, photography and design. The eight-state competition includes Oklahoma, Arkansas, Kansas, Missouri, Nebraska, Iowa, North Dakota and South Dakota. Winners will be announced May 10 at the Mayo Hotel in Tulsa, Oklahoma, as the event welcomes Joe Kelley, news director and host of Orlando’s Morning News show on 96.5 WDBO, as its distinguished lecturer. Joining Kelley as featured speakers will be acclaimed food and drinks writer Todd Price of NOLA.com | The Times-Picayune, and St. Louis Magazine’s esteemed staff writer Jeannette Cooperman. All three speakers will present workshops to attendees following the awards luncheon at the Mayo Hotel, 115 W. Fifth St.
Several student journalists will be among those recognized for their work. The Tulsa Press Club will award $1,500 scholarships to the winners in five individual student categories. Conference workshops are free to attend. Awards luncheon tickets are $50 for individuals, and $45 for students or media. Tickets are available at www.tulsapressclub.org/sponsorship-tickets. A free mix and mingle event featuring food and drinks inspired by New Orleans and a brief Q&A from Todd Price will be held the evening of May 9 from 5:30-7:30 p.m. at the Tulsa Press Club, 415 S. Boston Ave. 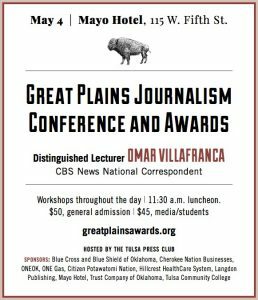 Questions regarding the Great Plains Journalism Awards should be sent to greatplainsawards@gmail.com or call Anne Brockman at 918-585-9924, ext. 226 (9 a.m.-5 p.m.). Complete rules and regulations are available here. Kelley previously worked at KRMG in Tulsa and has been recognized for his successes as an on-air personality and community leader. 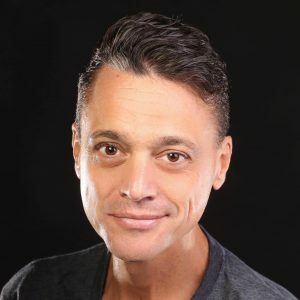 He has received awards from Radio and Records Magazine, Radio Ink Magazine, the Dallas Press Club, the Las Vegas Women in Communications and the Oklahoma Associations of Broadcasters. 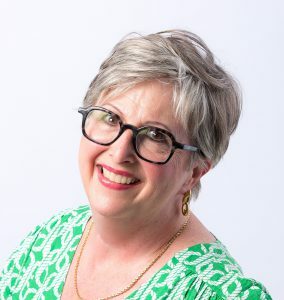 Joining Kelley as a featured speaker will be acclaimed food and drinks writer Todd Price of NOLA.com | The Times-Picayune, and St. Louis Magazine’s esteemed staff writer Jeannette Cooperman. Price is the lead reporter of a team that dominates food coverage in New Orleans and aims to be the paper of record for local dining news. Price also served as the local editor of Zagat, and has written for Food Arts, Gambit Weekly, New Orleans Magazine, OffBeat Magazine and the Chronicle of Higher of Education. Cooperman was named to the FOLIO: 100 list of the “the best and brightest” in the magazine industry. Her articles on social trends and injustices, grisly crimes, interesting people, and intense subcultures have won numerous national awards. She holds a Ph.D. in American Studies, has authored five books and has been published in O Magazine, Real Simple, Bark, Glamour and Family Circle. Past speakers and contest judges have featured some of the biggest names in journalism, including CBS News’ Anthony Mason, Judy Woodruff of PBS, and Pulitzer Prize winners Jacqui Banaszynski and Lane DeGregory. Contest finalists will be announced after an extensive judging process; winners will be awarded on May 10. Following its mission to promote high standards in journalism, the Tulsa Press Club will present Dan Harrison Memorial Scholarships to winners in five student categories. Students in attendance also will have the opportunity to have portfolio reviews with Kelley. We are now accepting submissions for the 2019 Great Plains Journalism Awards. Enter at betternewspapercontest.com. Entries will be received through 10:59 p.m., Feb. 4, 2019. Click here for a complete brochure detailing rules, categories and requirements. To pay for your entries, visit tulsapressclub.org/sponsorship-tickets. Any questions can be submitted to greatplainsawards@gmail.com. Details about the 2019 Distinguished Lectureship and Conference are pending. Stay tuned! Categories are being finalized and our 2019 contest will open Dec. 1, 2018. Entries will be accepted through Jan. 31, 2019 at betternewspapercontest.com. All entries must be published must be from the 2018 calendar year. Journalists from newspapers, magazines and websites across the region are invited to submit their best work. Dan Harrison Memorial Student Scholarships for student winners will be awarded in five categories: Student Editor of the Year, Student Writer of the Year, Student Photographer of the Year, Student Designer of the Year and Student Broadcaster of the Year. Three additional student categories — Student Broadcast, Student Website and Student Newspaper — will also be named. The Tulsa Press Club is proud to announce the 2018 Great Plains Journalism Awards winners. More than 600 entries were received this year, with winners and finalists named in 72 professional and student categories. Four student journalists were awarded $1,500 scholarships named after former Tulsa Press Club president and ONEOK executive Dan Harrison. Thank you to our 2018 sponsors: Blue Cross and Blue Shield of Oklahoma, Cherokee Nation Businesses, ONEOK, Hillcrest HealthCare System, ONE Gas, Trust Company of Oklahoma, Tulsa World Media Company, Citizen Potawatomi Nation, Langdon Publishing, Tulsa Community College and the Mayo Hotel. Below is a list of the 2018 Great Plains Journalism Awards winners and finalists by publication. Flip through the official book here. Finalists have ben named for the 2018 Great Plains Journalism Awards. The Awards Luncheon is set for May 4 at the Mayo Hotel in Tulsa, Oklahoma. Tickets are $50; $45 for media/students. Tickets can be purchased at shop.tulsapressclub.org. A complete schedule of events is here. CBS News’ Omar Villafranca will be recognized as the Distinguished Lecturer, with workshops led by ProPublica Illinois’ Louise Kiernan, attorney Douglas “Doug” Dodd and National Geographic’s Andrea Leitch. Final details are being set for the 2018 Great Plains Journalism Awards. On Thursday, May 3, The Tulsa Press Club will host a meet and greet from 5:30-8:30 p.m. at the clubhouse. Mix and mingle with conference speakers, out-of-town journalists and guests. Free admission. Cash bar. Purchase your luncheon ticket at shop.tulsapressclub.org. Tickets are $50; $45, student/media. 11:30 a.m.: Awards Luncheon — Welcome and Introduction, President’s Remarks, Awards Presentation (Lunch served during awards), Presentation of the Dan Harrison Memorial Scholarships, Distinguished Lectureship Speaker: Omar Villafranca. Luncheon at The Mayo Hotel’s Crystal Ballroom. 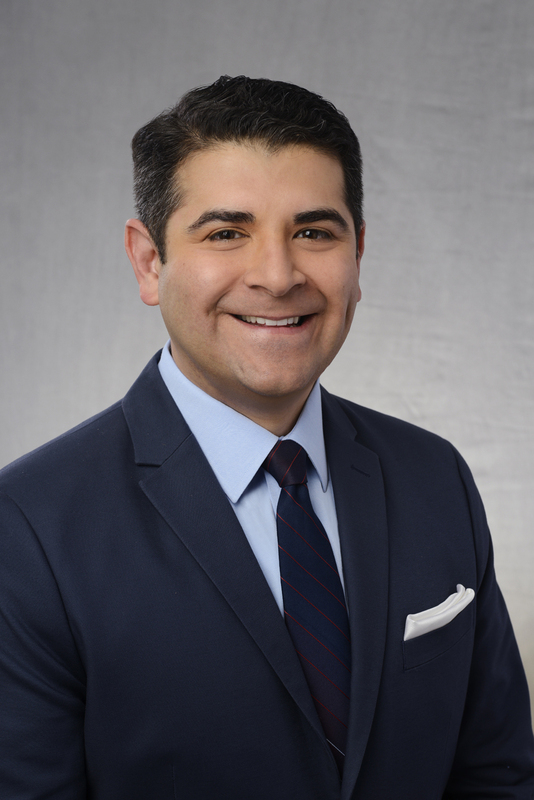 Great Plains Journalism Awards, sponsored by the Tulsa Press Club, will welcome Omar Villafranca, correspondent with CBS News in its Southern Bureau, as its distinguished lecturer at its annual conference and awards luncheon May 4 at the Mayo Hotel. Villafranca’s assignments have sent him to the front lines of the unrest in Ferguson, Missouri, and in 2017 placed him in the path of major hurricanes that battered the U.S. and the Caribbean. He also led CBS News’ coverage of a deadly shooting by a Tulsa County reserve deputy that eventually led to the resignation of the longtime Tulsa County Sheriff. The Great Plains Journalism Awards is a regional contest honoring print, web, TV and magazine journalists for outstanding stories, photography and design. The eight-state competition includes Oklahoma, Arkansas, Kansas, Missouri, Nebraska, Iowa, North Dakota and South Dakota. Entries are now being accepted for the 2018 contest. Entries must have been published between Jan. 1 and Dec. 31, 2017. Finalists will be announced after an extensive judging process; winners will be awarded on May 4. Joining Villafranca as featured speakers are S. Douglas “Doug” Dodd of Doerner, Saunders, Daniel & Anderson, LLP law firm in Tulsa, Andrea Leitch of National Geographic, and Louise Kiernan of ProPublica Illinois. Dodd represents national and local media companies in media and intellectual property matters with an emphasis on First Amendment and defamation issues. Leitch serves as Senior Director of Travel and Adventure. She oversees the digital strategy for NatGeoTravel.com and leads a team of editors, producers, and photo editors who tell stories about far-flung places, fascinating cultures, and amazing adventures across digital platforms. Kiernan is editor-in-chief the first regional operation of ProPublica. She came to ProPublica from Northwestern University, where she was an associate professor of journalism, focusing on investigative and narrative reporting, and the leader of the program’s social justice and investigative journalism specialization. Following its mission to promote high standards in journalism, the Tulsa Press Club will present Dan Harrison Memorial Scholarships to winners in five student categories. Students in attendance also will have the opportunity to have portfolio reviews with Villafranca. Questions regarding contest submissions should be sent to greatplainsawards@gmail.com or call Anne Brockman at 918-585-9924, ext. 226 (9 a.m.-5 p.m.). Complete rules and regulations are available at greatplainswards.org.